“I read the news today, oh boy”, Golden Duck Orchestra begin their debut album by quoting one of the most famous Beatles lyrics. And then they follow it up immediately with “I wanted to crawl away like a cockroach”, taking us by surprise – a little thumbnail of the band’s style of patently using their influences and layering them with their own oddities. Golden Duck‘s debut’s greatest strength lies in being a record accessible enough to the casual listener while also thrilling avid rock fans. With their bright, catchy hooks and dramatic vocal performances, the band reminds, at many instances, of the amusing, melodic aura of Ghost and draws heavily from the styles of 70s rock giants like Rainbow. The mean riffs and synth flourishes on opener Angel elevate the song to an instantly engaging experience while Alien exhibits the greatest use of melody on the album with its Dio-esque triumphant sound. The greatest surprise, however, comes with My Little Kingdom, a melting pot of styles that you wouldn’t expect on a hard rock/metal album. 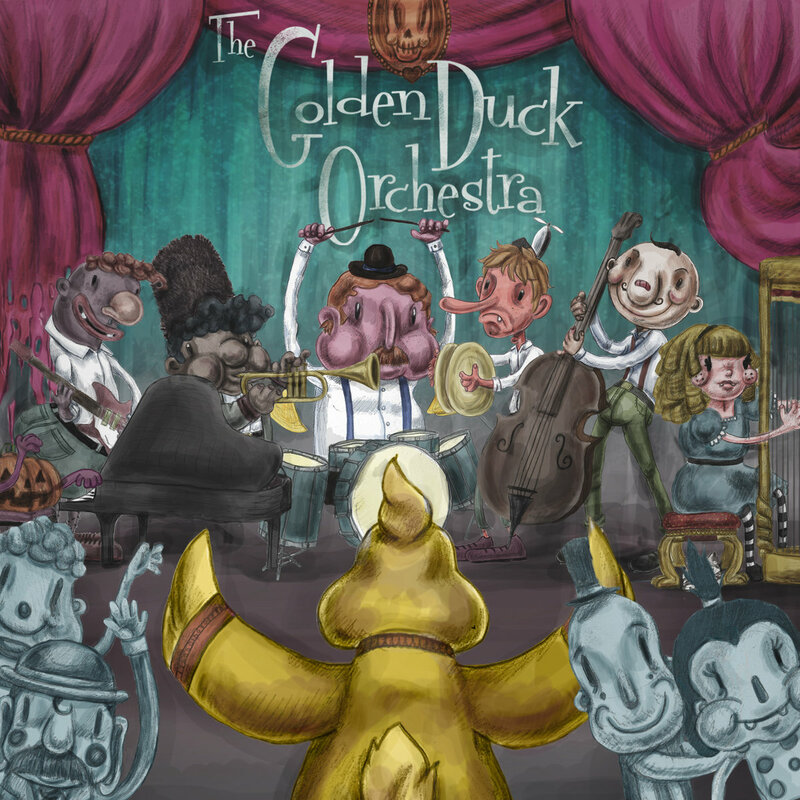 In all, the Golden Duck Orchestra can be best described as a rock band that you don’t need to be a rock fan to enjoy. With its accessible songwriting and killer instrumental performances, the band’s debut is bound to fascinate.